The eye-catching complexity of Celtic Design is world famous and timeless in it's appeal. 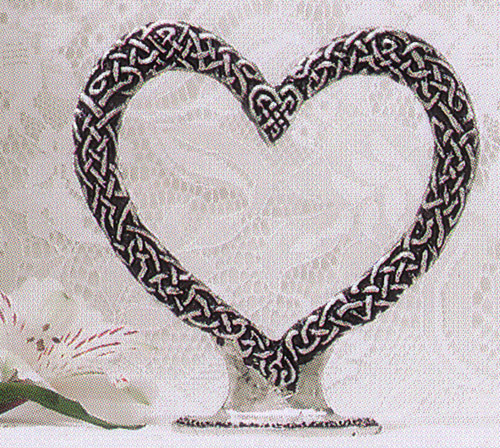 The interwoven knotwork symbolizes eternity. This heart will look wonderful on top of a wedding- cake, and as a sculpture for all the years after. We make it to be seen from either side. The base measures 2 5/8 x 1 5/8 inches, and the heart is 5 inches across.